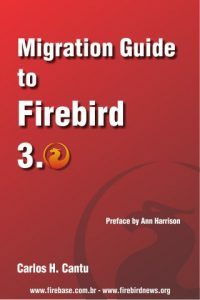 Today the Firebird 2.5 is being released. You can read the press release and most importantly release notes. And sure, you can download it and use/test/deploy. Congratulation to us, the Firebird Project, especially the core team. And also to you, users, I hope you’ll enjoy and like the new Firebird 2.5 version as we (I) do. Note: The MindTheBird campaign team will run a webinar today at 13:00 GMT in anticipation of the launch of Firebird 2.5 Final Release. See the details.